Luton, once reliant on the car industry and on manufacturing now celebrates a robust economy and growing job market which is attracting international investment. The resurgence of the town as an economic centre has also led to an increasing number of UK and international visitors to the town. With the economic boom, the number of business professionals coming to Luton for short to extended stays has led to the travel industry striving to meet the growing demand. 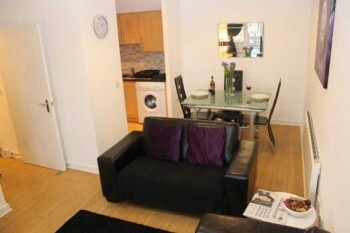 Included in the choice of accommodation is the Serviced Apartment industry. Luton’s biggest economic asset is London Luton airport making access into the UK from many European destinations viable. The airport serves as a base for easyJet, Monarch Airlines, Thomson Airways, Ryanair and Wizz Air. A rail link from the airport into London allows travellers the option of staying in Luton and then making daily commutes into the City. Luton is a wonderful place to stay for guests looking to be located on the outskirts of London with an easy commute to the City and neighbouring major districts. Luton town centre features a premier indoor shopping centre, The Mall which attracts more than 20 million shoppers a year. There is also the Luton Market, which has its own section as part of the Mall. The market numbers 78 stalls selling items ranging from food to textiles, consumer and household goods. With the economic growth and business opportunities there is a growing need for short and extended-stay accommodation for business and leisure travellers. 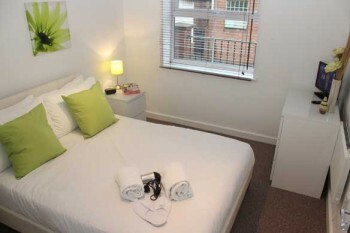 Accommodation ranges from Hotels to B&B’s, apart-hotels and serviced apartments. Apartments offer spacious and modern accommodation complete with complimentary slippers, linen and towels. The living area provides a comfortable environment for guests to relax and unwind in with a flat screen TV and free internet access. 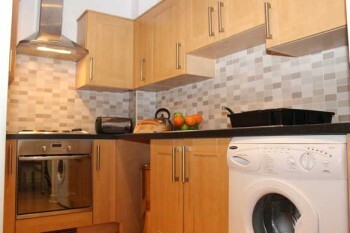 The kitchen is fully-fitted and equipped with modern appliances, a dishwasher and laundry facilities. There is a weekly housekeeping service including a change in linen and towels. A secure underground car parking bay is available for guests at no extra charge. 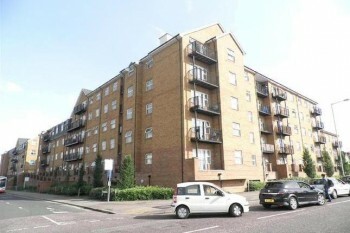 Serviced apartments in Luton are gaining popularity based on the uniques features they offer versus a hotel stay, their location close to London travel links and the affordability they offer relative to London prices – apartment rates are irrespective of the number of guests staying. Serviced apartment living spaces are designed to assist you to work, rest and play in absolute comfort. Each apartment is located in a safe area with sufficient security for your peace of mind for the duration of your stay. If you would like to learn more about Cotels serviced apartments in Luton and what they offer guests booking for a few nights or for extended stays, Contact Us today.